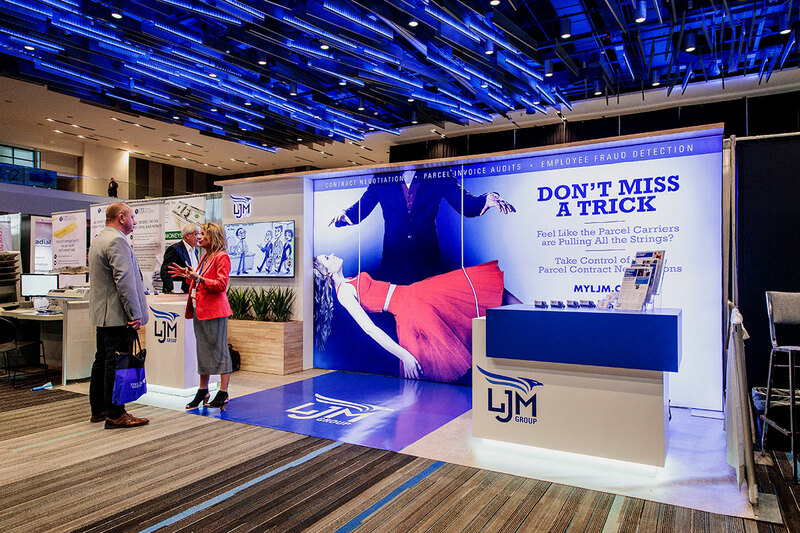 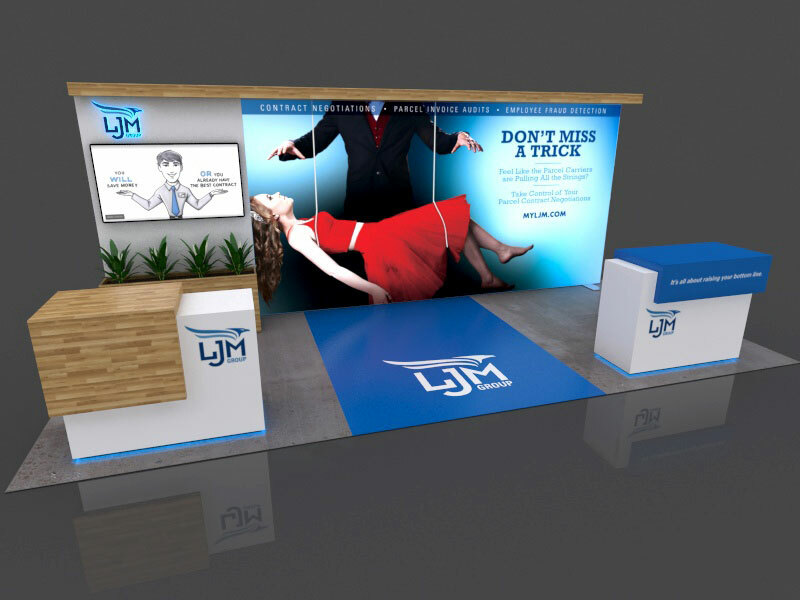 LJM Group desired an exhibit that would conquer the show floor while maintaining some modesty at the smaller shows on their schedule. The client’s wish list included a large backlit graphic, a monitor for digital media, and a reception counter. 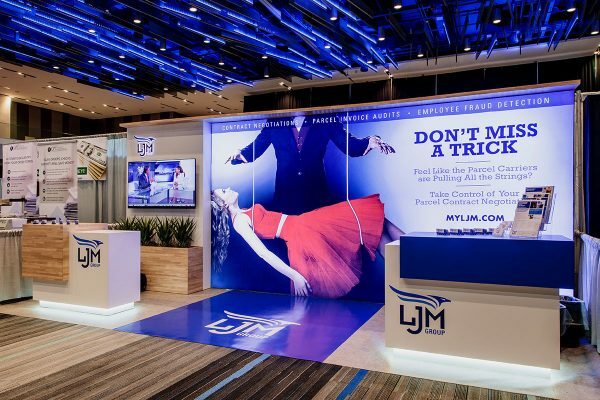 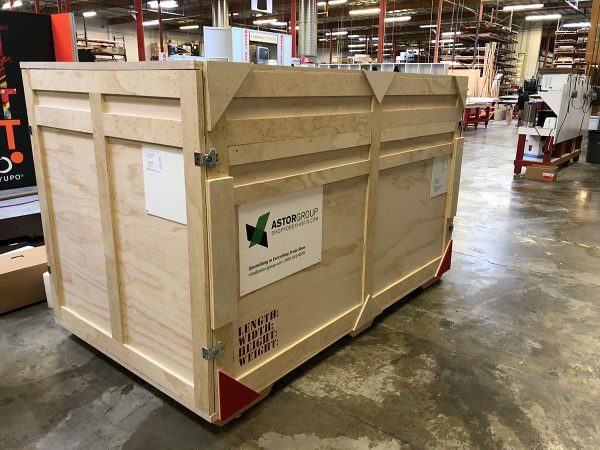 Astor Group developed a high-end 10’ x 20’ display that incorporates the client’s requests and took them to the next level. 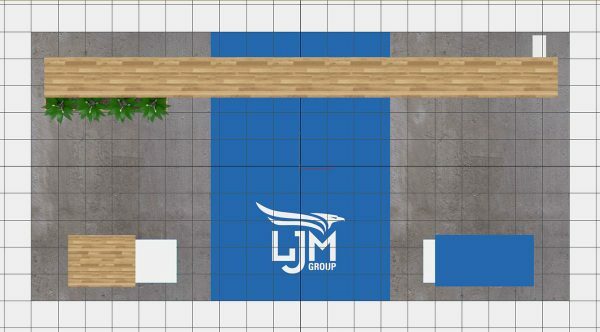 The booth includes custom counters and concrete-style flooring that serve as a nod to LJM Group’s industry. 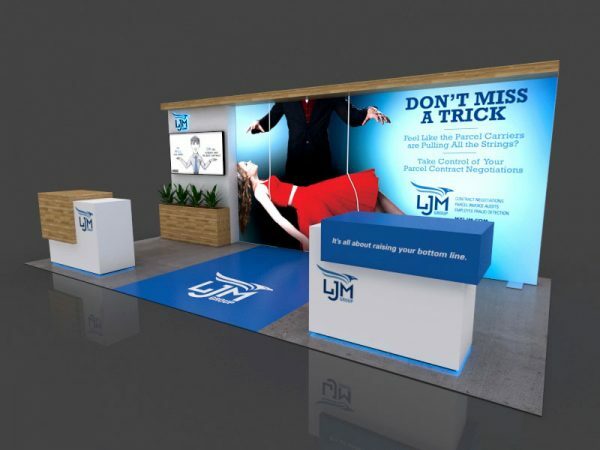 With a balance of different textures, plants and unique messaging, this inline booth stands out at any show.